Norwegian software developer, Opera Software ASA, released an update to their Opera web browser today. Opera 29 for computers introduces tab synchronization to the application. Tab synchronization is the ability to simultaneously view and share the same tabs you have open in Opera on your Windows, Mac or Linux computer with your laptop and Android device. 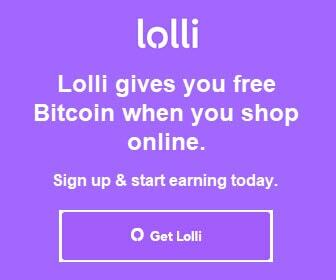 adjacent to the address bar. , click Settings, and click the Sign in… button under the Synchronization section. 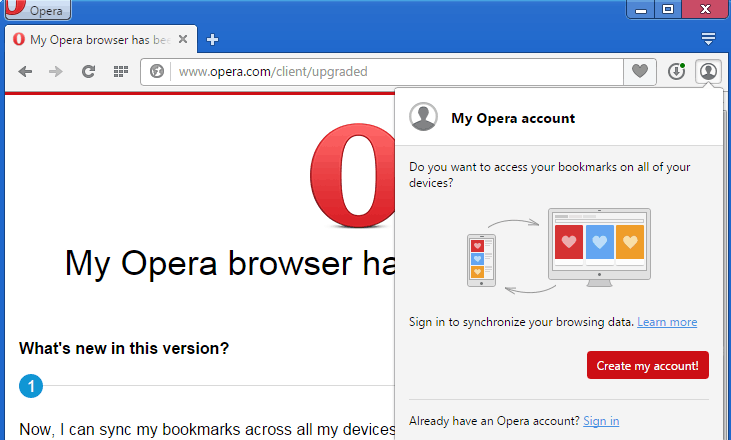 If you do not have an Opera account, click the Create my account! button in the Synchronization dialog, or sign up here. Once signed into Opera, open tabs from your other devices will display under the Tabs button in the browser’s Start Page. 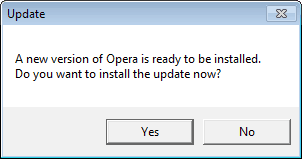 If you already have Opera installed, check for updates manually from the Opera button. An Update notification dialog may also display when you next launch the application. 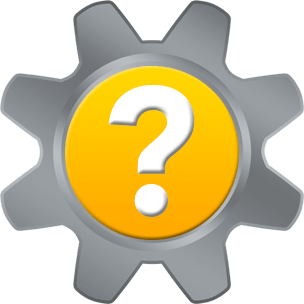 If you want to install the update, click Yes.